1025 gallon honey wagon shown with DOT compliant trailer. 1025 gallon honey wagon waste containment system. 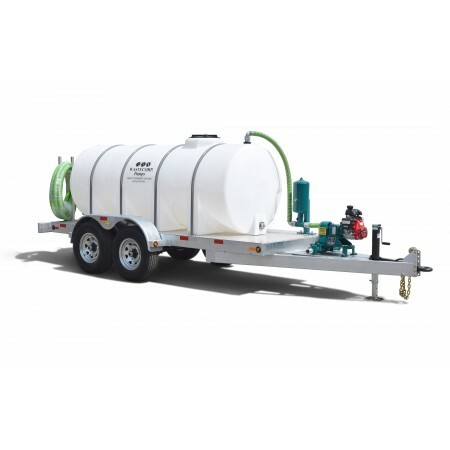 Pump septic waste, waste oil, wastewater, industrial fluid and more. Galvanized frame and deck. Optional storage bins and pump configurations. 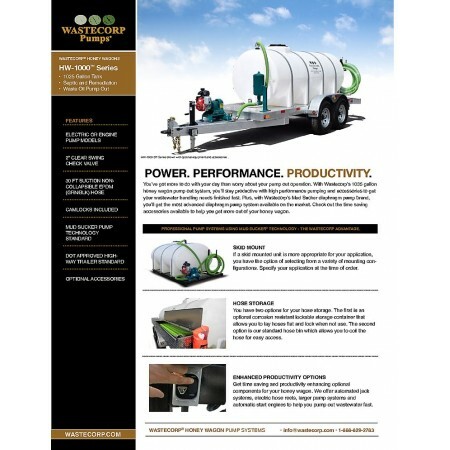 Wastecorp's 1025 gallon high volume honey wagon series is available as a waste collection system, mobile fresh water distribution or fertilizer sprayer pump. This series features polyethylene holding tanks with easy entry and discharge points. 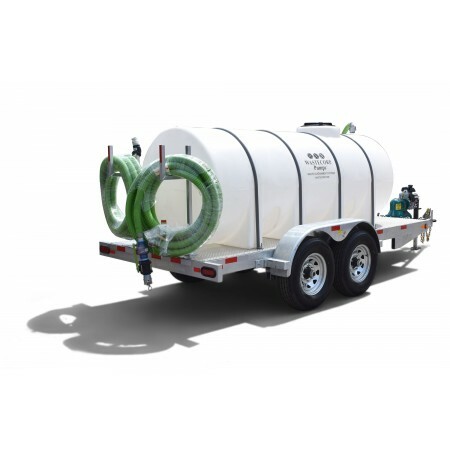 The high volume series is available in two configurations: dual axle trailer mounted and skid mounted. The trailer mounted model is available with a Department of Transportation (D.O.T.) approved trailer with LED lighting package, break-away switch and forged front eye key. Select one of many Wastecorp pumping systems to suit your application. Pumps are available in gasoline, diesel or electric drive systems. Wastecorp invented the Mud Sucker Diaphragm Pump and we are the only manufacturer that includes the Mud Sucker on every unit we build. PUMP SELECTION Your honey wagon ships complete with the Mud Sucker 2FAC Series waste pump technology standard. Optional Mud Sucker pumps are available in single or double diaphragm configurations with 2”, 3” and 4” connection sizes rated up to 220 GPM. Managing full tank loads at highway speeds is no easy tasks. 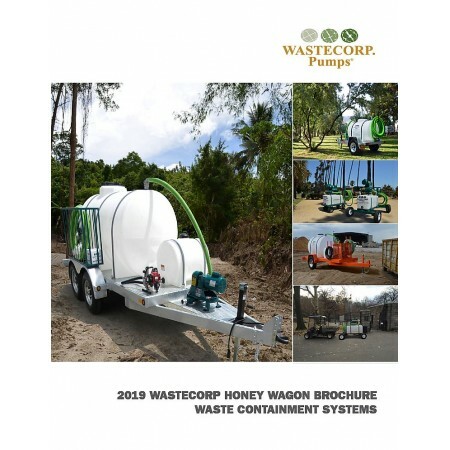 Let Wastecorp’s engineering team help you get the right honey wagon waste containment system for your specific application SMART TANKS Your waste tank includes volume markers and quick access discharge and filling points. This enhanced the operator’s productivity throughout the work day. Wastecorp is a high rated pump manufacturer with ISO 9001 and ISO 14001 certification. 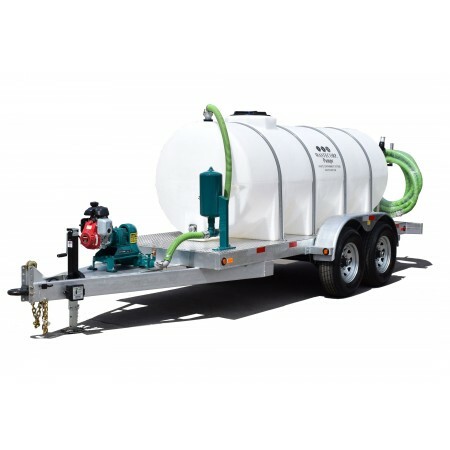 With a 30 year track record in honey wagon manufacturer, you are investing in the best system from one of the best pump manufacturers. The best part is your honey wagon is manufactured near you.